Our farmers work on innovative ways to manage phosphorus and other nutrients on their farms, while improving soil and water quality through agricultural conservation practices and technologies. YPF is testing the business case for several innovative conservation practices by demonstrating pilot projects and showcasing the phosphorus and nitrogen savings, soil quality benefits and the increase in profitability for farmers’ operations. 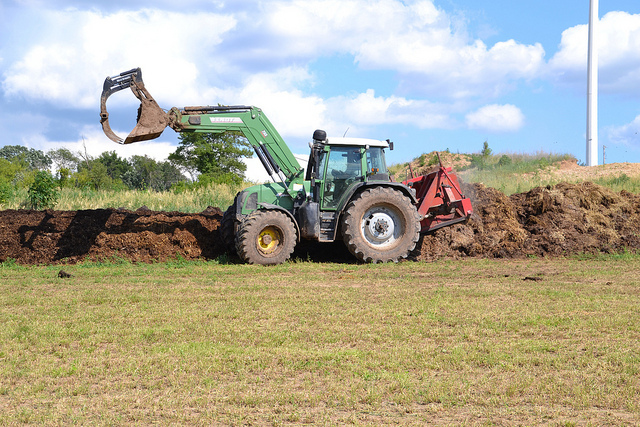 Our focus has included improving manure management, increasing the use of conservation practices including nutrient management, cover crops, vertical manure injection and strip tillage; and a certification program that assesses farmers’ conservation efforts and rewards farmers for good stewardship with discounted services and products from local agri-business. We support research, analysis and monitoring that will generate the data needed to make the best conservation management decisions on our farms. In addition, we have helped create a structure of farmer-to-farmer education and outreach that can be used as a model to be replicated regionally. The Yahara Pride Farms Conservation Board was founded in early 2011, in partnership with the Clean Lakes Alliance, by an enthusiastic and progressive band of area producers, agronomists, and businessmen to develop a self-regulated, self-recognized, and self-incentivized organization to improve and protect our land and waterways in Dane County. Through monthly meetings and significant development, the group has successfully created the framework of a strategic instrument in implementing best management practices in agriculture. With a long-term goal of creating brand recognition and impetus to join the organization, Yahara Pride Farms grew to 72 members in two years. 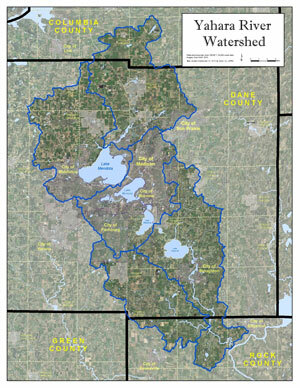 Initial signups were concentrated on the Dorn Creek sub-watershed to initiate important contact with these particular area producers, as they will play a significant role in the phosphorus Adaptive Management Program spearheaded by Madison Metropolitan Sewerage District. Yahara Pride Farms Producers have successfully utilized a cover crop seeding cost-share program since 2011. Each year, the number of cover crop acres planted has increased substantially. In the summer of 2013, Yahara Pride Farms implemented a Farm Certification Program that recognizes farmers for excellent stewardship, while making recommendations to improve conservation weaknesses. If a farmer is out of compliance to utilize government cost-share programs, we work with them and educate them on the practices that will improve their land conservation, which in turn, sets them up to take advantage of county, state or federal funding. Being a certified Yahara Pride Farms member indicates that a farmer or operation has successfully completed all aspects of the certification program including a facility, crop and soil assessment (which includes reviewing the effectiveness of their nutrient management plan), a complete farm land walkover as well as a follow up one-on-one meeting with a conservation resource manager to discuss areas where conservation practices could be improved or changed on their farm. 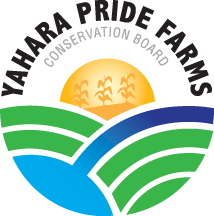 The certified Yahara Pride Farms members are required to meet a high standard (80% rating based on a point system) that is an evaluation of all components (facilities, fields, etc.) of their farm. The certified members have made a commitment to improve conservation on their operation as suggested by the resource managers and have proven to be dedicated to protecting soil and water resources in the watershed. In turn, farmers receive benefits for completing the certification, including discounted services and products as well as taking pride in good stewardship that is recognized throughout the agricultural and urban communities. To learn more about the certification program, please click here. With the help of area sponsors, a cost-share program is in place to provide Yahara Pride Farms members with discounted products, services, and equipment that helps keep phosphorus in it’s place so it can be utilized by the crops. The equipment available through the cost-share program is displayed at our annual educational Ag Innovation Days, which began in the fall of 2013. At the 2014 Ag Innovation Days, vertical manure injection, strip tillage, a composting demonstration and cover crop test strip varieties were on display. Over the next couple of years, Yahara Pride Farms will continue working towards membership development, brand recognition and innovative phosphorus management strategies. Regular news, program communication, and watershed-wide conferences will remain as a vital part in sharing the latest efforts in land conservation.